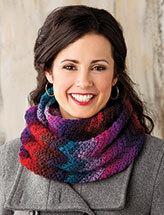 The hooded scarf pattern popular in the 1950s gets a modern transition into a chic, contemporary hooded cowl that can be worn loose or doubled around the neck for extra warmth. 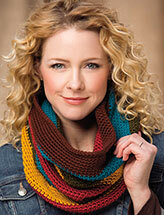 This e-pattern was originally published in the December issue of Crochet World magazine. Size: 8 1/2" x 62". 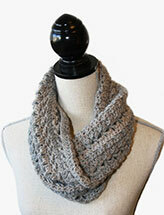 Made with bulky (chunky) weight yarn and size K/10 1/2/6.5mm hook.